, but will also drive profitable revenue growth. 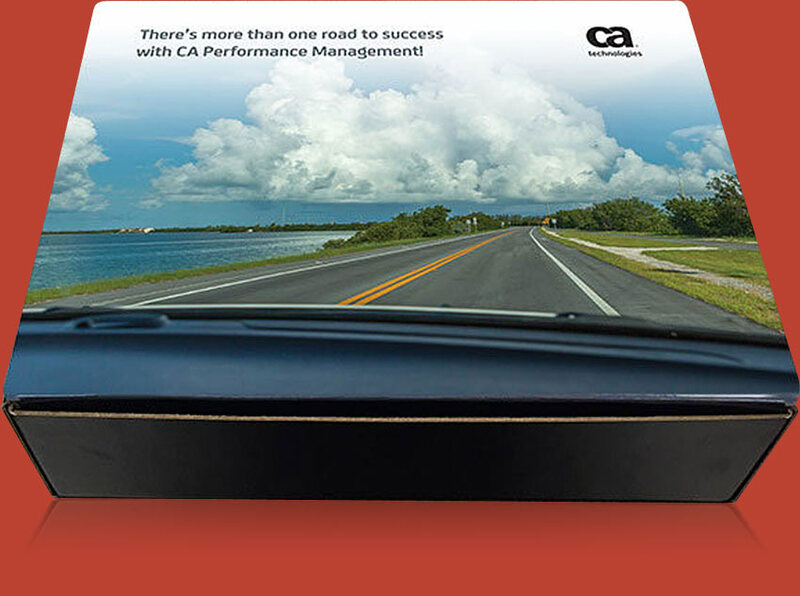 Inspired by CA Performance Management’s flexible dashboard, Brainstorm designed a promotional mailer with a car thematic, demonstrating how this tool puts CSPs in the driver’s seat. Support copy detailed how CA Performance Management helps them monitor their entire network and speed problem solving, while also highlighting its revenue-generating possibilities. Included in the mailer was a useful—and thematically tied—high-end premium: an emergency roadside kit to solve troublesome issues when they’re on the go! CA shipped the mailer to 350 prospects. Sales teams followed up with each recipient and gained 77 (22%) new prospects that showed an interest in purchasing. Among the interested CSPs was a large telecommunications firm that has long been a key prospect for CA.